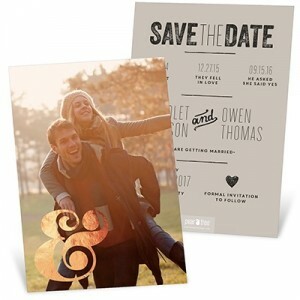 These save the date ideas give couples inspiration for their save the date cards, engagement photos and wedding tips! 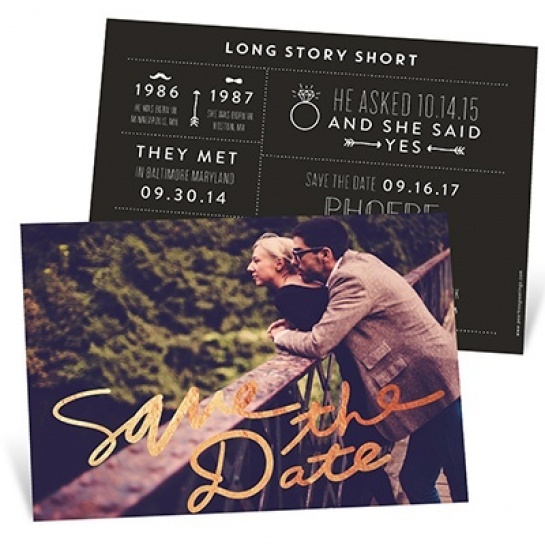 When we saw this save the date card idea come through our office, we just had to hear the story behind the beautiful photo. 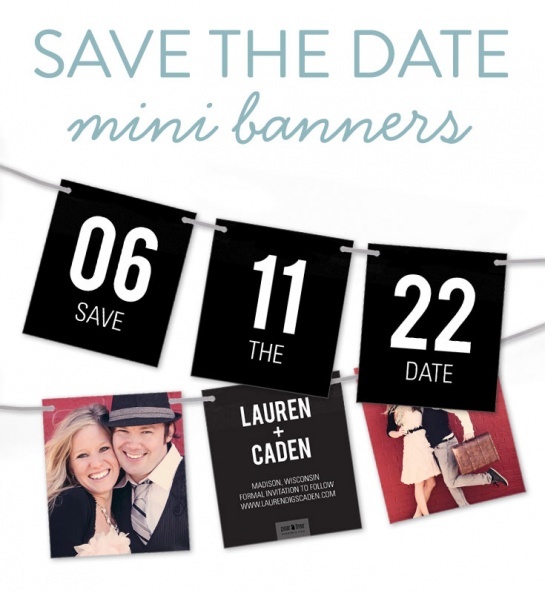 Bride-to-be Lauren was happy to fill us in. 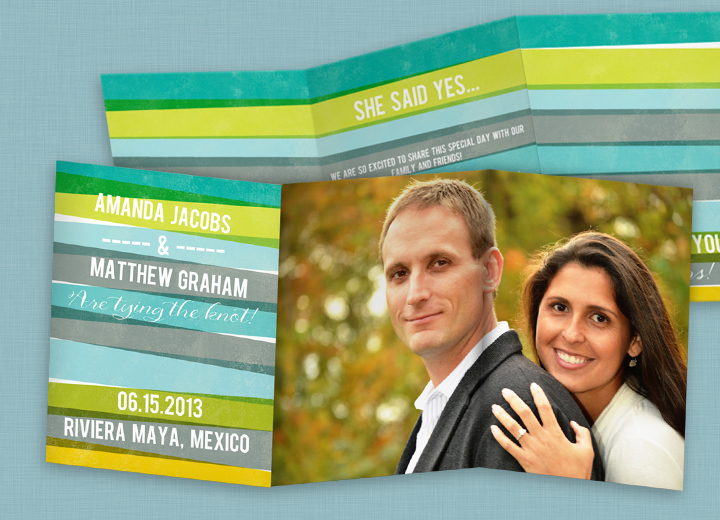 When we saw these wedding invitations being printed, we just had to find out this couple’s story. 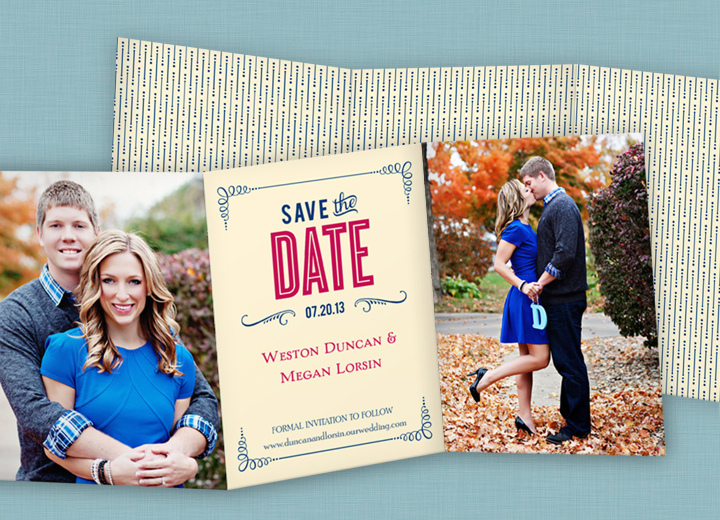 The colors and photos were so beautiful! 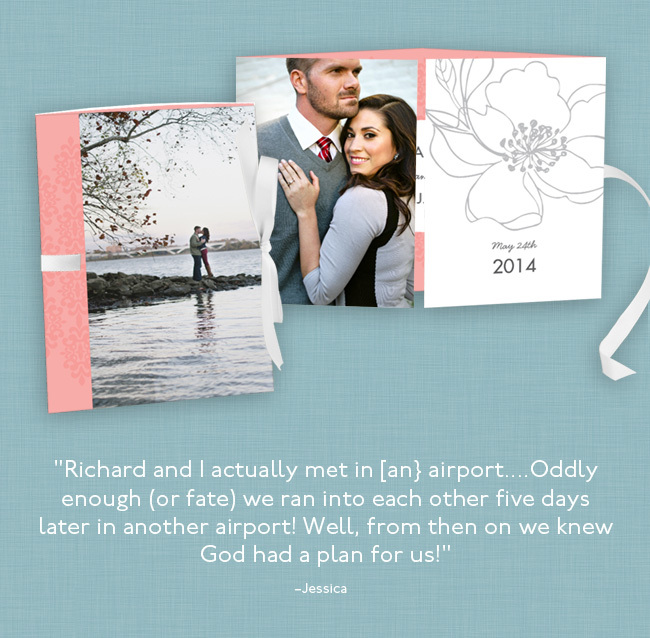 The bride-to-be, Jessica, was happy to tell us how they met. 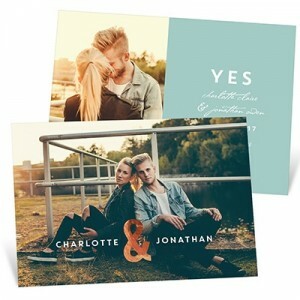 A few weeks before the session I brainstormed potential shoot locations with both my fiancé and photographer Hollywould Designs. We settled on three separate places: a very lovely local park that sits on the banks of the Minnesota River, a large wooden bridge on one of our favorite bike trails, and a very cool-looking, worn-down industrial warehouse that’s right down the street from our home. 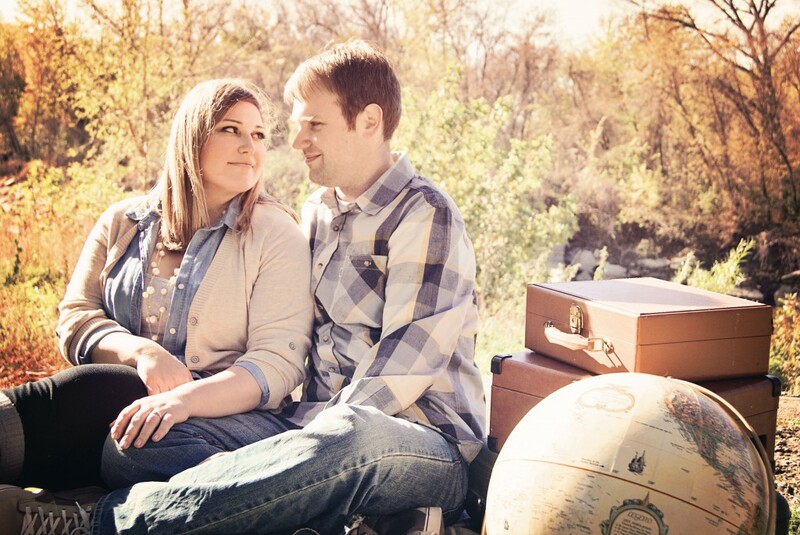 Each of these spots shows off the natural beauty of the area and was special to us as a couple. 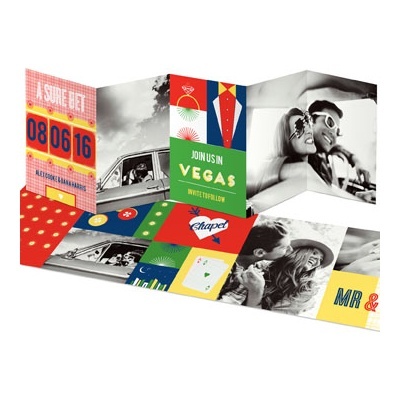 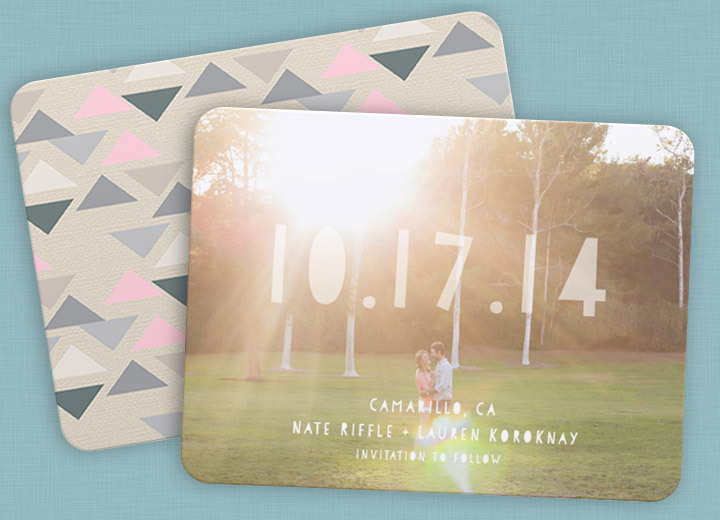 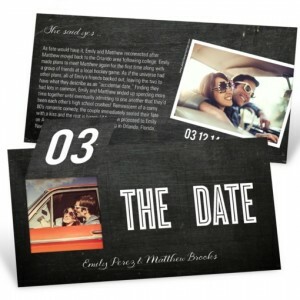 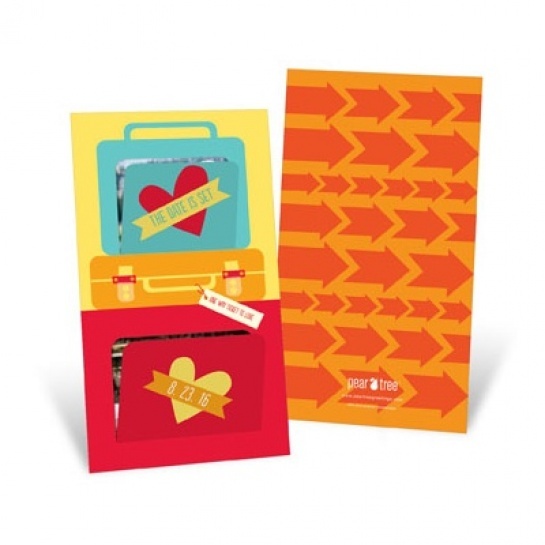 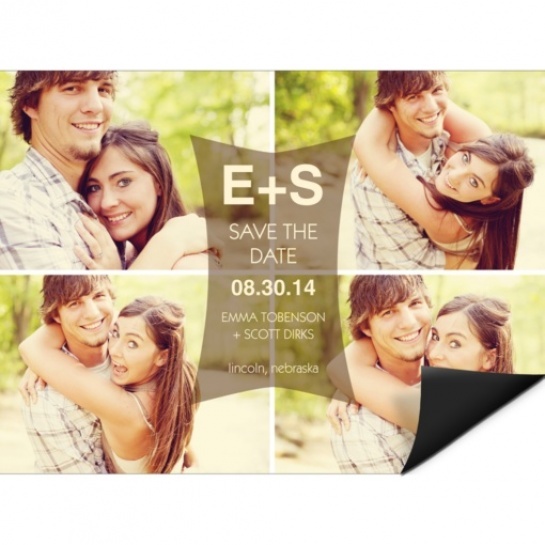 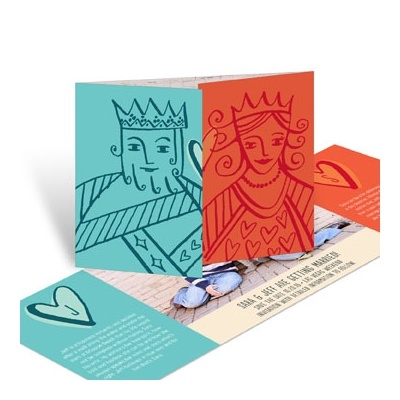 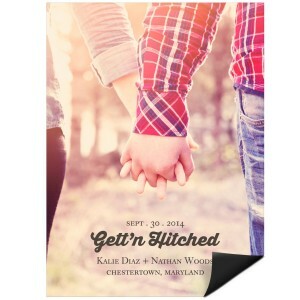 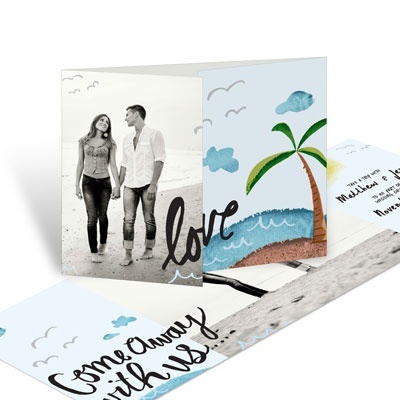 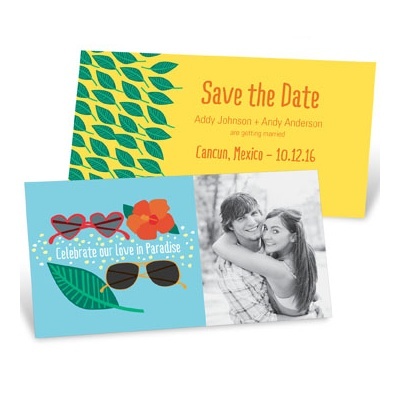 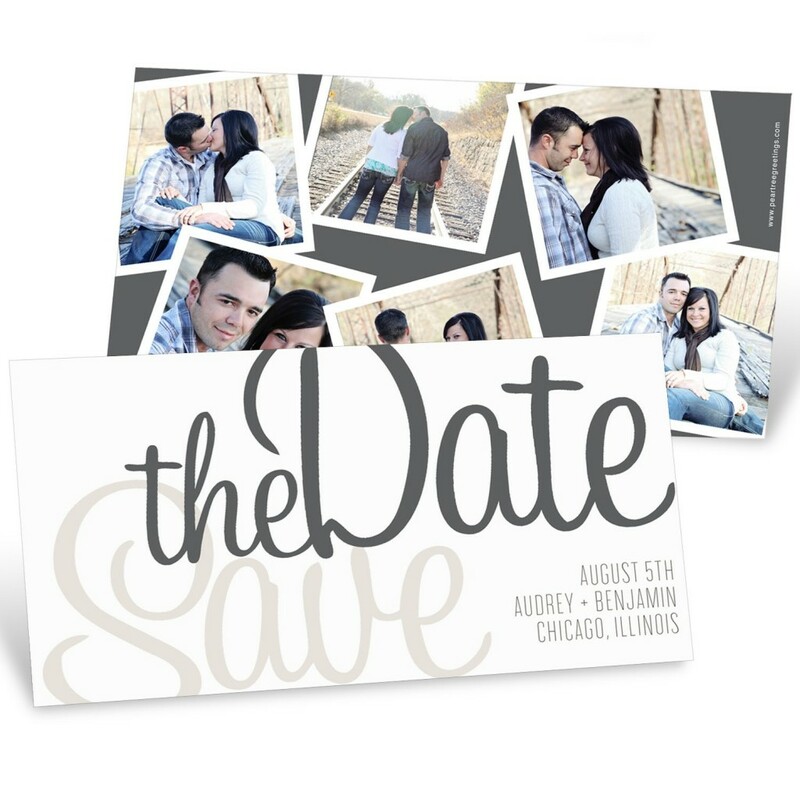 We love to look at the save the date cards our customers order. 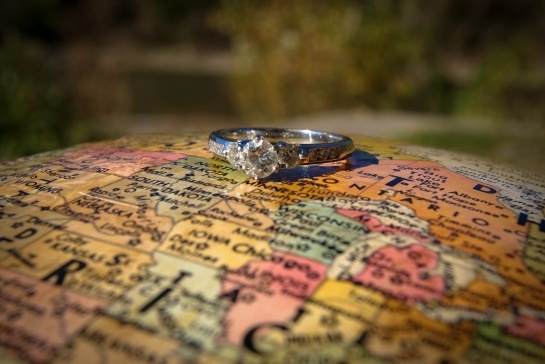 (Who doesn’t love a good engagement story?) This simple tri-fold Happily Ever Headlines – Save the Date Card intrigued us with its beautiful photos and we wanted to know more. Bride-to-be Megan was happy to tell us her story.